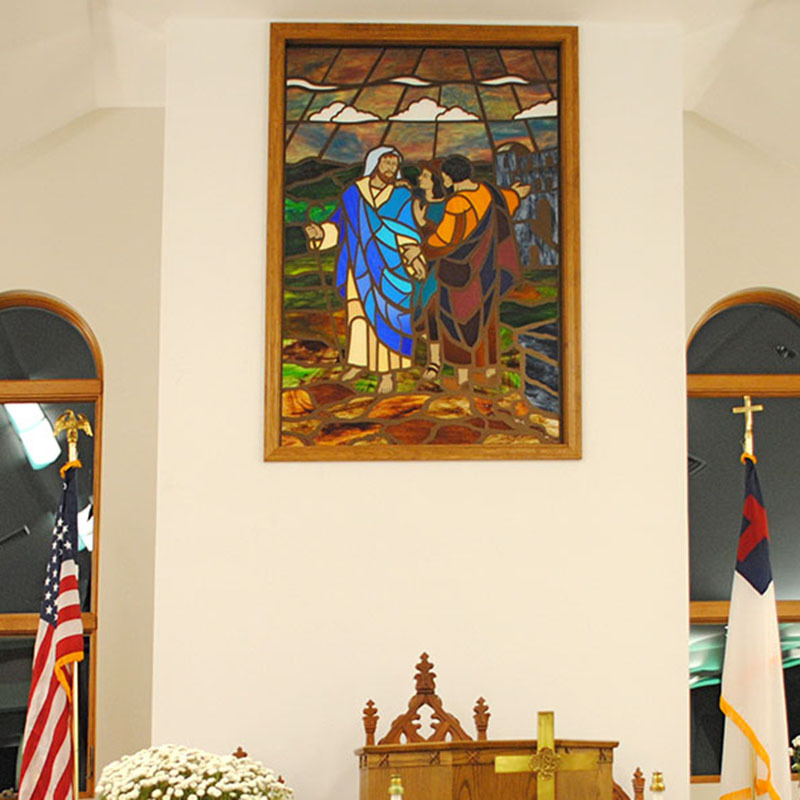 This “Structural Stained Glass®” window is the focal point in the sanctuary of the new church. 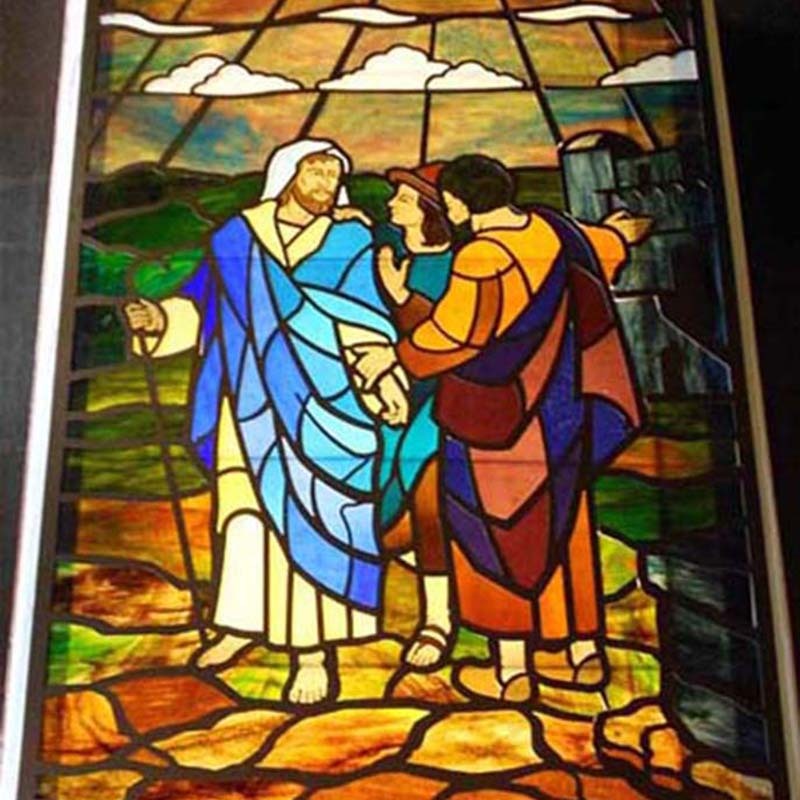 The subject matter was derived from a favorite painting at the old church and depicts “On the Road to Emmaus”. In the scene, Christ is being urged to stay the night and continue to His fellowship with the 2 Disciples. The streaky glass used for the sky resembles a colorful sunset. The flesh features of the figures were painted and cast in the lead free panel. 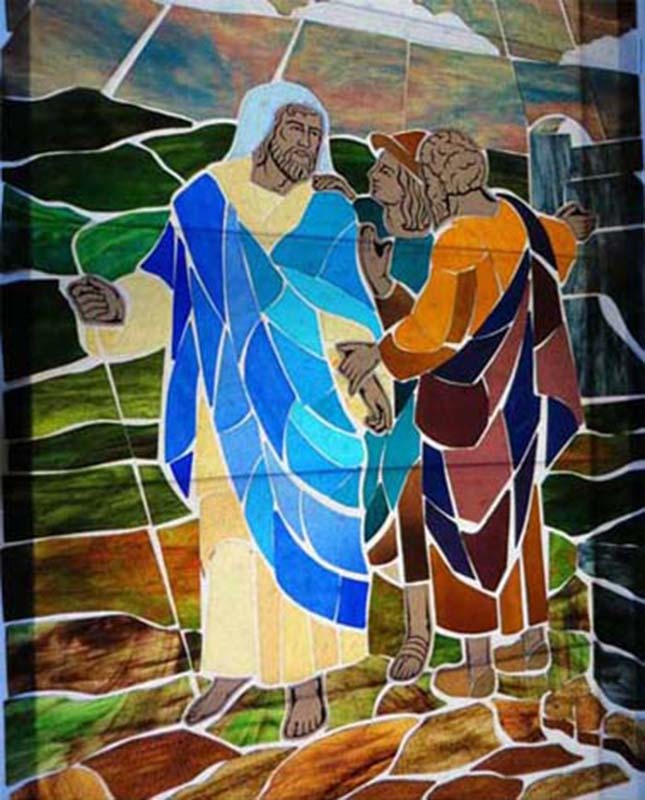 Various textures and types of glass were used to portray rocks, masonry, hills, ground, and sky. This window measures 54”W X 78”H approx. Site maintained by The Baut Studios, Inc.